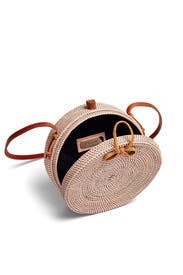 This straw Cleobella tote in a circular silhouette is just right for warmer weather. 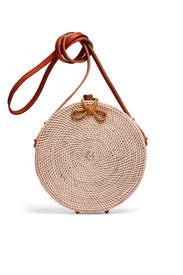 Blush hand woven cantina style crossbody bag. Leather crossbody strap with a 21" strap drop. Top snap closure. 8" in diameter and 3" deep.